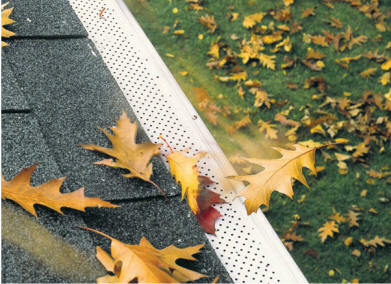 * Round perforations and a smooth finish prevent debris from sticking to Leaf Relief®’s surface. Plus, the patented Aluma-Perf™ technology keeps leaves, needles, seeds and twigs out of gutters which are lifted away with a gentle breeze. 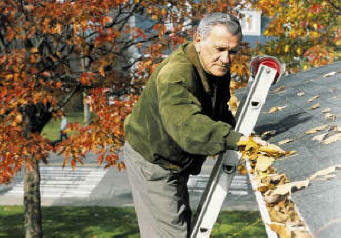 * The long length means fewer overlaps for a cleaner installation. * Fewer overlaps mean less chance for debris to get in. * Made of aluminum, Leaf Relief® products keep their shape, regardless of climate conditions. Series SN for new gutter applications:Revolutionizing the gutter market, Leaf Relief® Series SN is specifically designed for new gutter applications. Its unique continuous hanging system outperforms traditional spikes or hangers. Leaf Relief® Series SN also prevents debris from infiltrating the gutter interior which can lead to deterioration and clogging. Series TP for existing gutters Existing gutters receive Leaf Relief®’s protection with the Series TP, featuring a flexible flap for a perfect, self-sealing fit. Both the Series SN and Series TN are backed by our Never Clogs, Never Overflows warranty.